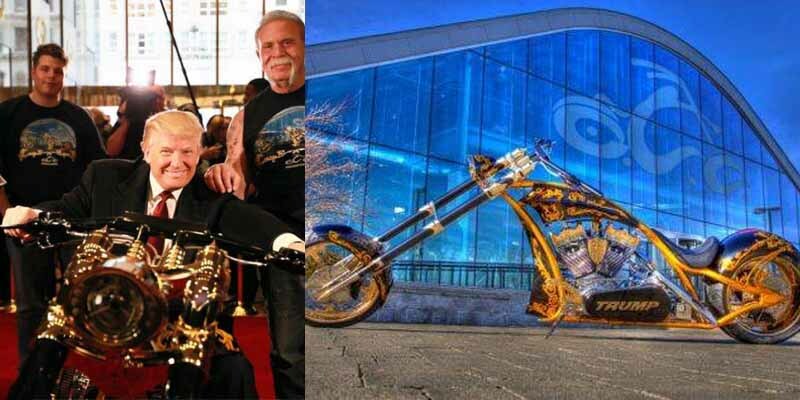 At last but not least, we have POTUS #45 Donald Trump with the custom golden Harley made for him by his close friend and Celebrity Apprentice contestant Paul Teutal Sr. of Orange County Choppers of the American Chopper fame. Featuring 24 carat gold and custom parts, Paul Sr. has branded the chopper with Trump’s name, making it even more exclusive. It’s currently on display at the Trump Tower in Manhattan.